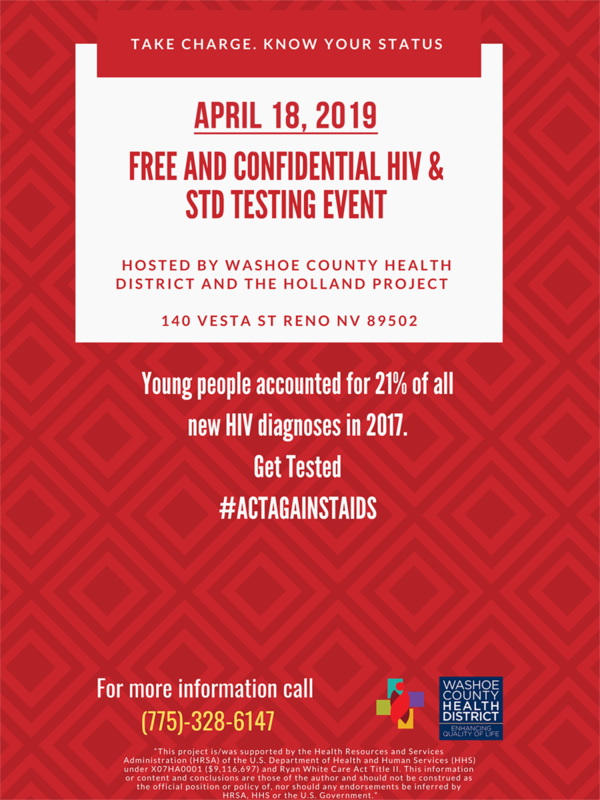 The Holland Project is proud to host a free HIV and STD testing event with the Washoe County Health District. They will be set up in our Serva Pool Gallery from 6PM-9PM. No appointments or cash required. Recommended to come closer to 6PM to get your number in the queue!